I love these babies! Got them from MakeupMasala for only $2 each! 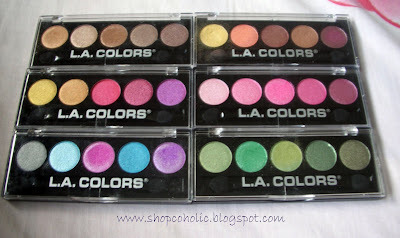 "Enhance your eyes with these NEW Bright and Bold Shades! 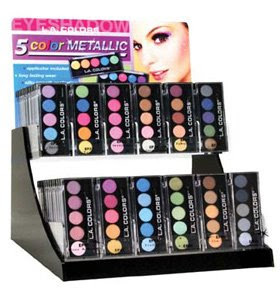 Magnificent metallic eyeshadow in 6 INTENSE Sets! Silky smooth application, Long lasting wear, and dual-tip applicator included. " * i don't use their dual tip applicator, I prefer to use brushes. i even forgot the location of the boutique! oh my! where did see this locally? 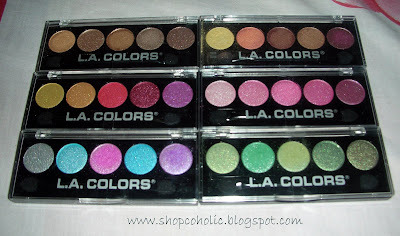 DAHEE : sa STARS & STRIPES, and other 99 stores, pero yung ORDINARY LA colors palette yun, di maganda yung colors.. this one kasi yung shimmery palette.